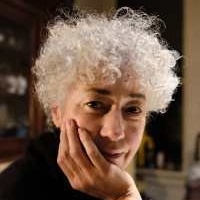 Sheila Murray is a writer, documentary filmmaker, sound editor and communications specialist. Her 2009 - 2013 research, communications and outreach for the Omega Foundation’s community-based project, SmartSaver, contributed to reaching thousands of Toronto community workers and families and creating successful partnerships and networks. Sheila has led the Toronto based organization, Community Resilience to Extreme Weather (CREW), since 2014. She has a BAA in Journalism and MA in Immigration and Settlement Studies. When Community Resilience to Extreme Weather (CREW) decided to pilot a neighbourhood resiliency map for Toronto’s Wards 13 & 14 it asked Jose A. Lao and Santessa Henriques for help. Resiliency is the ability of a community to cope with extreme stressors, make the very best of them, and bounce back afterwards. It sounds straightforward but measuring it is not so simple.